With this mix of fun and music, Let’s Move invites all ages to put on their dancing shoes and to get down to tunes spun by a guest DJ. Shake off the winter chill and usher in the warmth of the holidays with friends, family and neighbors throughout the afternoon. 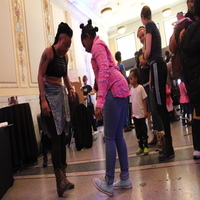 Let’s Move offers high-energy performances, hands-on activities hosted by community partners, and a steady supply of beats that will have the whole family on their feet.